LOS ANGELES 4/22/2015 – Professional photographer Gareth Rockliffe was presented with the 8th Annual International Color Awards Nominee title in the category of Fine Art at a prestigious Nomination & Winners Photoshow webcast Saturday, April 18, 2015. The live online gala was attended by over 8,000 photography fans around the globe who logged on to watch the climax of the industry's most important event for color photography. 8th Annual Jury members included captains of the industry from Christie's, Paris; Frieze Art Fair, London; DB Agency, Milan; Clair Galerie, Munich; Edinburgh Film Festival; Art Beatus Gallery, Hong Kong; Gup Magazine, Amsterdam; and Eyestorm, London who honored Color Masters with 541 coveted title awards in 33 categories. "It is an incredible achievement to be selected among the best from the 7,358 entries we received this year," said Basil O'Brien, the awards Creative Director. 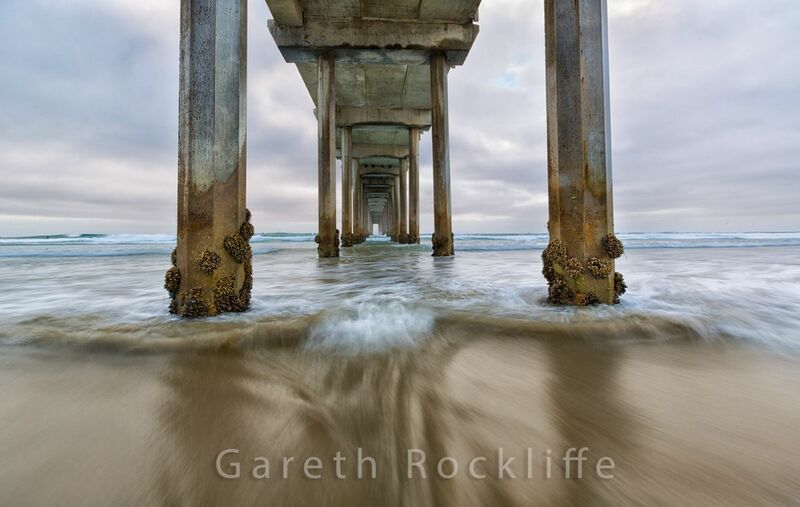 "Gareth Rockliffe's "Scripps Pier #1," an exceptional image entered in the Fine Art category, represents contemporary color photography at its finest, and we're pleased to present him with the title of Nominee."